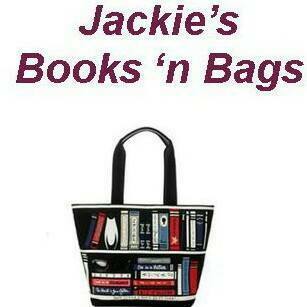 As many of my friends and followers know, I am a very big fan of Amish Romance novels. 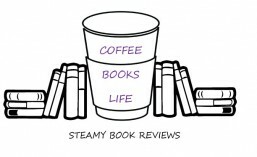 These books are dear to me because they make the reader feel good. I don't usually read them for any particular message, but THE AMISH TEACHER'S GIFT by Rachel J. Good, struck me with one deeply. Ada Rupp is a special needs teacher in an Amish school. She loves what she does, even though the poor young woman is stretched thin. Aside from teaching these students who truly need her skills and her patience, she is the head of household for her seven siblings after he parents pass away. Josiah Yoder is a widower with a young deaf son. He's having a rough time keeping it together, especially when his son,Nathan, doesn't understand that his mother isn't ever coming home. With some trepidation, Josiah sends his son to Ada's school and the results are life altering, for not only Nathan, but for Josiah as well. 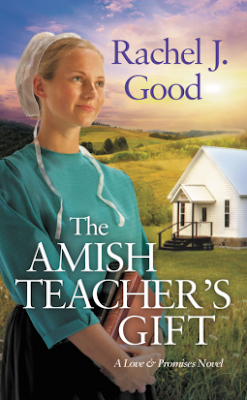 THE AMISH TEACHER'S GIFT by Rachel J Good is a fabulous read. It shows us that there is truly a place for each and every one of us, even if we don't fit into a mold. I highly recommend this read, even if you have never picked up an Amish Rom. Give this well-written book a try. Amy Clipston is one of my favorite Amish Romance authors. 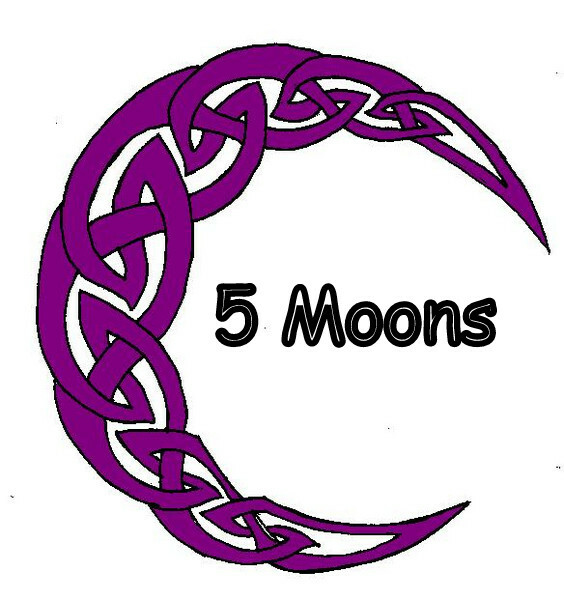 This talented lady consistently releases well written and intriguing stories and she is well worth a try to anyone and everyone. ROOM ON THE PORCH SWING is a prime example of Amy Clipston's talent. In this heartwarming tale, Laura Riehl has not only lost her mother, but her best friend, Savilla, passes away, leaving Laura bereft and adrift. She feels so alone, even though she is in a relationship with Rudy. When Laura offers to help Allen, Savilla's widower, take care of the baby, left motherless, her life begins to change. But are the changes for the better? Laura begins to see things in a much different light while taking care of the little one. She starts to become a part of Allen's household and feelings for the widower spark as well. Time heals all wounds, but will time be on Laura and Allen's side? 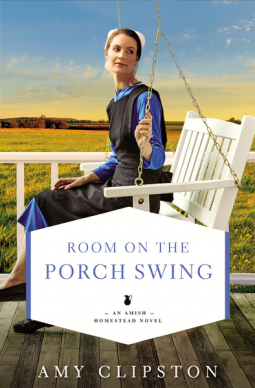 Read ROOM ON THE PORCH SWING by Amy Clipston to find out. A HOME FOR HANNAH by Amy Lillard is a poignant Second Chance Romance which takes widow, Hannah McLean and he teenage son, back to her old order Amish community she left fifteen years before. Aaron Zook was Hannah's first love, but circumstances led her to another life, in another place, with another man. Now Hannah has come home and Aaron is still in Potontoc with three children he cares for alone and land he tirelessly works in order to keep it all together. While Hannah lived a much different life before her return, her feelings for Aaron are still there and now with him at arms length, she can't deny there is something there. Aaron was heartbroken when Hannah left, but he has his family to think about. Will Hannah and Aaron be able to build something solid and new out of the feelings they still have? 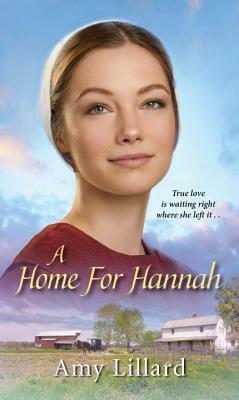 Try A HOME FOR HANNAH by Amy Lillard, to find out! Phoebe Yoder had a desire to learn all about and care for Alpacas. They are a wonder to her and consume all of her thoughts in her free-time. Instead of thinking about her own home and a marriage and family, Phoebe thinks of her alpacas. But tragedy strikes her family when her baby sister is kidnapped making Phoebe make an oath to God to marry Micah, who isn't even remotely her first choice and who couldn't possibly make her happy. When Benjamin Miller meets Phoebe Yoder, he starts to imagine what life would be like with Phoebe permanently in it. He even thinks that starting an alpaca farm would be just prefect for him and Phoebe. But Phoebe has made her oath and making her see that she needs to be happy is quite a task. Is Benjamin up to that task? Only time and reading this book will tell. 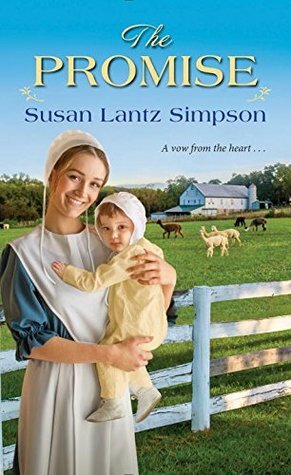 THE PROMISE by Susan Lantz Simpson is a lovely story with humor, intrigue and faith, as well and romance. I truly enjoyed this book and will most definitely be reading more by this talented author. THE WEDDING QUILT BRIDE by Marta Perry is a second chance romance that brings widow Rebecca Mast back to to hometown after the death of her husband. Rebecca returns to family with her shy son Lige at her side and a dream to make a life beyond what she endured before. With the help of local carpenter, Daniel King, Rebecca's dream of owning a quilt shop become a reality, what she didn't have in mind, was her feelings for Daniel and the realization that Lige was blossoming with Daniel's guidance and friendship. Rebecca and Daniel have secrets and emotional woes to overcome before they can even grasp moving on, but time in each other's company eases the way for good things . 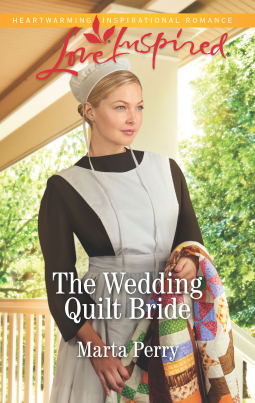 THE WEDDING QUILT BRIDE by Marta Perry is a wonderful tale of redemption and love. It is a solid and very well written story and I highly recommend this memorable tale.